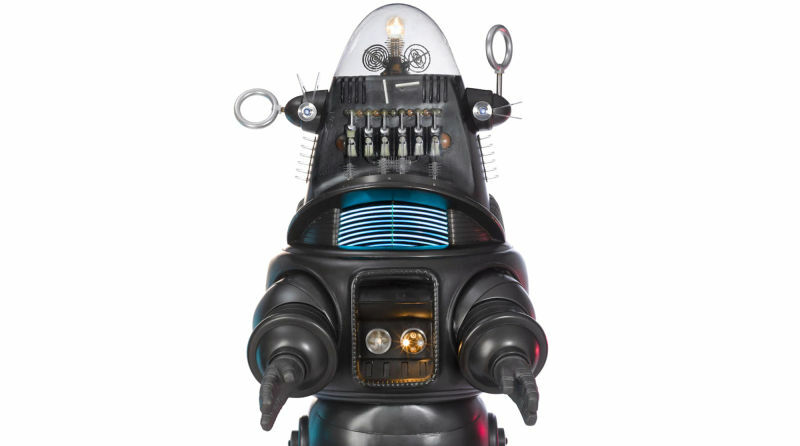 It is a sign of the times that one of the earliest and best known robots in movie history should move to the top of the list of the most expensive movie props ever sold. Now that robots have progressed from science fiction to reality, it isn’t all that surprising that Robby the Robot’s price has surpassed all but one of the most iconic movie props in history. The complete Robby suit, control panel, his jeep, numerous spares, alternate original “claw” hands, and the original wooden stage shipping crates, were sold yesterday (November 21, 2017 ) by Bonhams in New York for US$5,375,000 including buyers premium.